Freeze-drying is another method of dehydrating. Freeze-dried apples will be crispier and lighter because they contain less moisture than regular dried apples. For easy drizzling, spoon the melted white vanilla baking chips into a small food-storage bag. Snip off one tiny bottom corner and squeeze the melted chips over the cereal mixture. 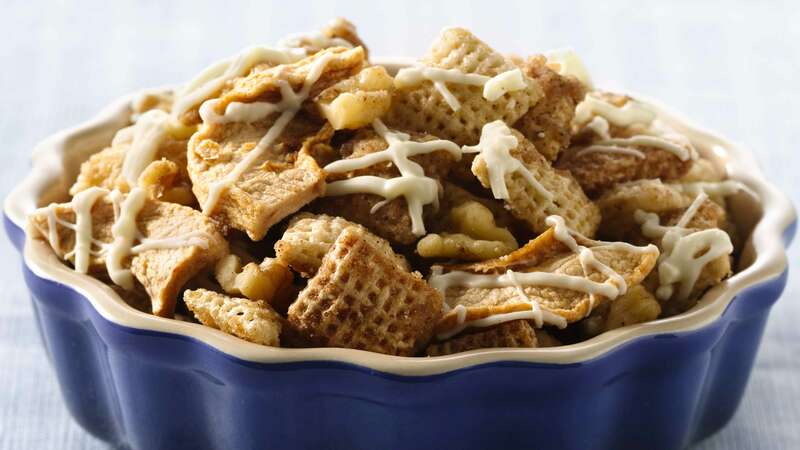 Recipe and image used with permission by General Mills.